Committed to the global effort to reduce international aviation emissions, Singapore Airlines (SIA), in partnership with the Civil Aviation Authority of Singapore (CAAS), has started operating a series of 12 ‘green package’ flights over a three-month period on its non-stop San Francisco – Singapore route. The first of the 12 flights, SQ31, departed San Francisco at 11:21hrs (San Francisco Time) on 1st May 2017 and arrived in Singapore at 19:10 hrs (Singapore Time) on 2nd May with 206 passengers on board. Other than the ongoing ‘green-package’ flights, SIA and CAAS have worked together in recent years on several other carbon emissions-reducing initiatives in international aviation. In January 2010, both organisations participated in the Asia and Pacific Initiative to Reduce Emissions (ASPIRE2) programme with a demonstration flight from Los Angeles to Singapore via Tokyo which yielded fuel savings of 6%. In May 2011, CAAS and SIA launched regular ASPIRE flights on the Los Angeles Singapore route. Over the years, routes to various destinations in the Southwest Pacific, including Auckland, Christchurch, Melbourne and Sydney, were incrementally added to the ASPIRE programme, the latest addition being SIA’s ‘Capital Express’ service between Singapore, Canberra and Wellington in September 2016. The series of 12 ‘green package’ flights will also adopt ATM best practices from the ASPIRE programme. “Singapore Airlines’ fleet is already among the most modern and fuel-efficient in the world. We now want to push ourselves further and are embarking on this initiative to help promote the use of sustainable biofuel in an operationally and commerciallyviable manner. This is in line with our long-term commitment to further reduce carbon emissions while improving the efficiency of our operations. 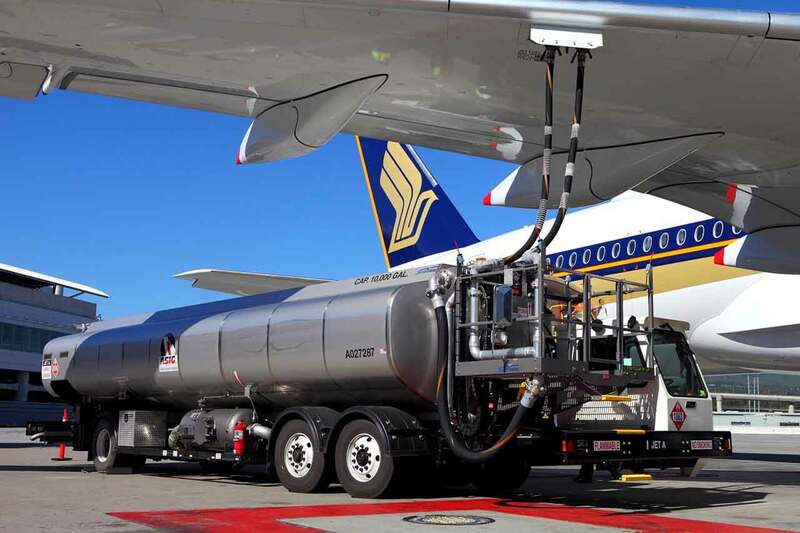 This initiative is especially memorable as our first biofuel flight departed from San Francisco on 1st May, when Singapore Airlines celebrated its 70th anniversary,” said SIA’s Chief Executive Officer, Mr Goh Choon Phong.